You've just held a call in your room and the end of the call is nearing. How you hang up depends on what you want to do next. 1/ "I have to run - continue without me." 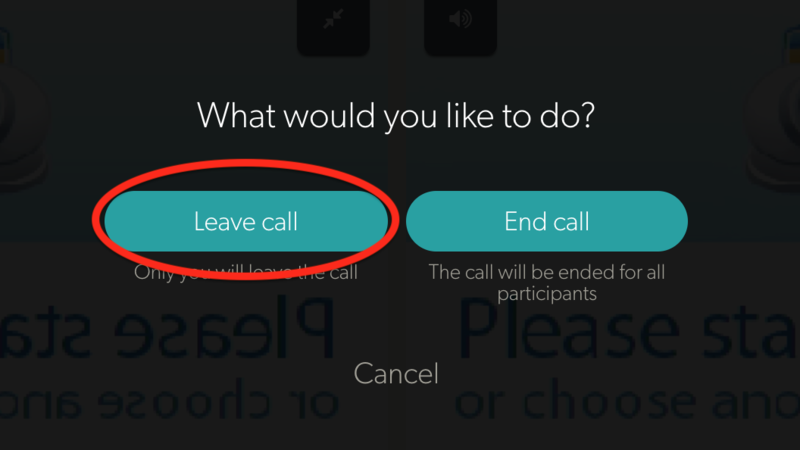 When you just want to excuse yourself from the meeting, you can hit the red "hangup" button and then hit "Leave call" in the next message. This will let the call continue, even if it is taking place in your personal room. It's like leaving your office behind for others to finalize a meeting. Once they leave, however, they won't be able to get back in. 2/ "Thanks - I'll see you next week." You want to finish the consultation and be able to take the next caller. 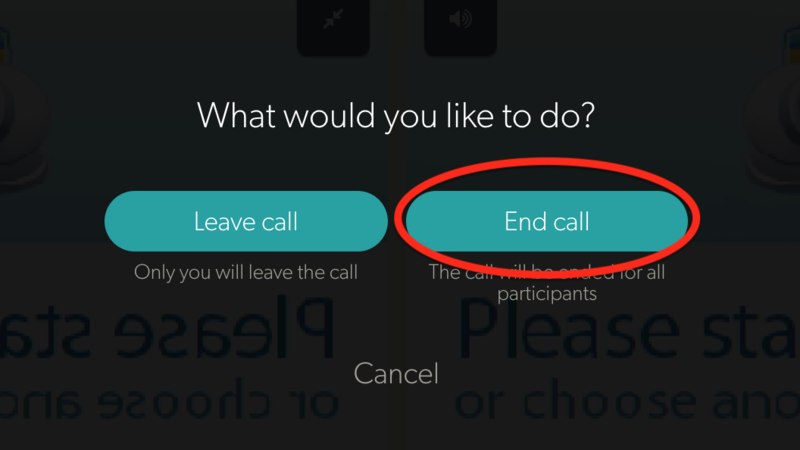 In this case, you hang up with the red button and properly "End call". That will hang up the connection for all participants in the call. Now you are able to get back into the room and pick up any other people that are maybe waiting in the waiting room. There are other ways to leave the room, e.g. your Internet goes down, your browser crashes, your computer crashes, or you are closing down the tab that the consultation is being held in. In all these circumstances, Coviu assumes you've left accidentally, so it leaves everyone else in the room and you can rejoin when ready.